New Price! Welcome to Manchester! 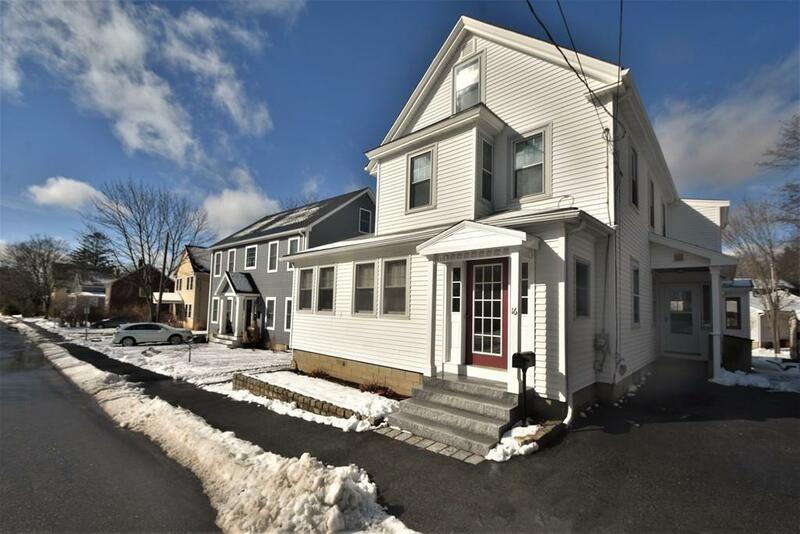 This 2 unit multifamily/single family home is conveniently located near Manchester High School, offers lots of natural light and built ins throughout. Each unit has it's own character- such as wainscoting and chair rails, vaulted ceilings and ample closet space. Unit 1 offers 1 Bedroom, 1 Bathroom, Bright and Sunny Living Room, Corner office and Den off of the Kitchen. Unit 2 includes 3 Bedrooms, 1.5 Bathrooms, Kitchen with dome lighting and abundant cabinet space, Formal Dining Room - great for entertaining, and Cozy Living Room with crown molding, built in shelving and decorative fire place. Level 3 includes 2 additional rooms that could be used as bedrooms with plenty of closet space completing unit 2. Outside space offers a shared backyard and storage shed - great for backyard BBQs! Plenty of parking with a driveway for each unit. Close to Shopping, Beaches, Parks, and Highway Access. Don't Miss Out on This one! Come see it Today! Listing courtesy of Alexander Montalto of Lamacchia Realty, Inc.. Listing provided courtesy of Alexander Montalto of Lamacchia Realty, Inc..